Lehi, Lehi, What Do You See by Sandra Meaders ~ Children's Picture Book Blog Tour with a giveaway! Book Description: Help your children learn to love the scriptures with this fully illustrated storybook! 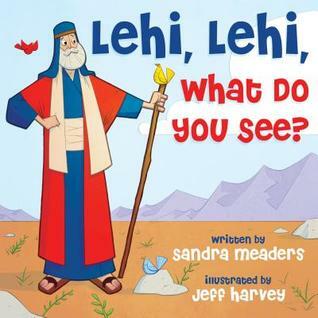 From Lehi to Moroni condenses important stories from The Book of Mormon, so that children can get to know and love it. This storybook is perfect for bedtime, for reading during sacrament meeting, and as part of family scripture study. 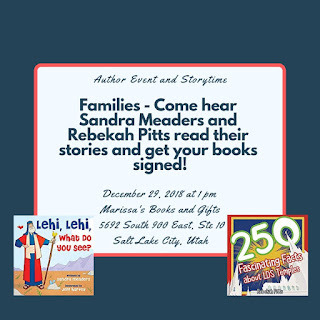 The engaging and detailed illustrations will ensure From Lehi to Moroni is picked up and read over and over again. My thoughts: This is a really cute picture book for children. It reminds me of one of my favorite books to read with my children when they were small, "Brown Bearn, Brown Bear, What Do You See?". 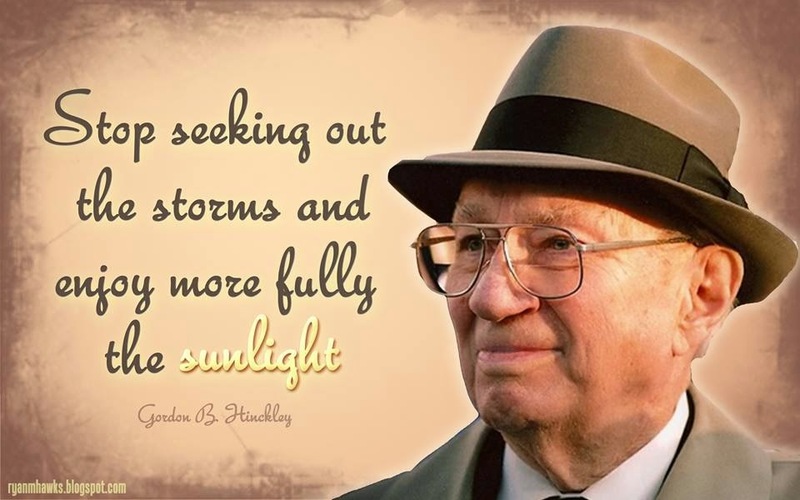 It teaches children colors as well as introduces them to stories from "The Book of Mormon". This is a great quiet book for church, or to curl up to and read together. Book Description: Kate Evans never imagined she'd be a young widow and single mom, staying in her aunt's guest cottage. She also never imagined she'd live next door to Jess Sullivan, an actual movie star. Struggling to put herself back together, Kate gets swept up in a whirlwind of dating, but can she keep ignoring what her heart really wants? 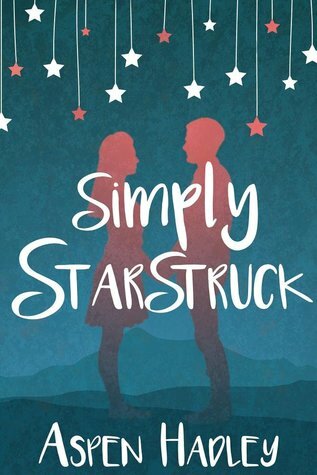 My thoughts: This is Aspen Hadley's first book? Seriously? Man, she writes a good story! I fell in love with her characters and the whole "vibe" of the book. This book takes a good hard look at relationships. Kate is a widow. Her world was turned upside down when her husband passed away unexpectedly. The problem was that it was unexpected for her, but not for him. He had kept the fact that he was sick from her. With her world turned upside down, she moves to stay with her aunt. Aspen Hadley writes with a Kate with a very sarcastic side. (Have I mentioned before how much I like a sarcastic voice? It is one of my favorites.) I was entertained by Kate's shenanigans from the first page. I think I smiled through most of the book. This was the escape book that I needed after a couple of stressful weeks. This book is clean with kissing. 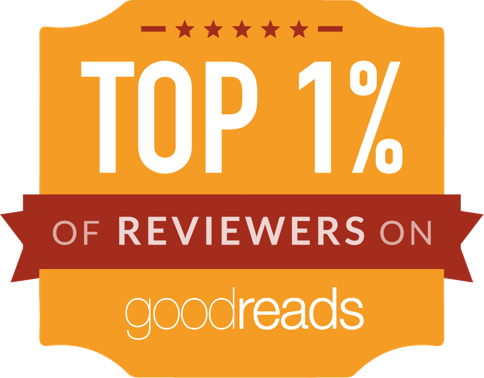 About the Author: (Taken from Goodreads) Aspen Marie Hadley loves nothing more than a great story. She has devoted herself to story-telling for the majority of her life, writing her first novel at her kitchen table in the 8th grade. Outside of writing, Aspen's number one hobby is reading. Number two is sneaking chocolate into and out of her private stash without being caught. Other favorite things include: playing the piano, listening to classic rock, telling jokes around the dinner table, eating ice cream, traveling, a good case of the giggles, and riding on ATVs over the red rock country of Southern Utah. Aspen shares her life with a patient husband, 4 hilarious children, and 1 grumpy dog in a quiet Utah suburb next to her beloved mountains. Given the choice she would road trip her life away, singing along to the radio and sleeping in every morning. You can also find her on Facebook at facebook.com/aspenthewriter and Instagram @aspenhadley_author. 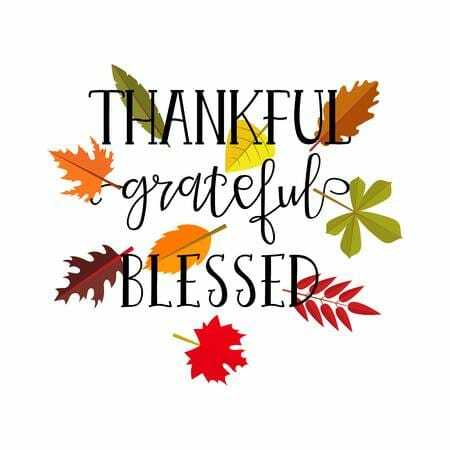 This is the day many of us reflect upon our blessings. 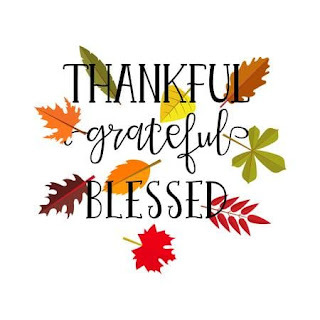 If it's not a holiday for you, I would still encourage you to think about the things that are good in your life. Last week my oldest child was married to a wonderful young woman. They are so happy and are a perfect match. Watching my children find joy and happiness is incredible. My next child, a daughter, has been married for one year. 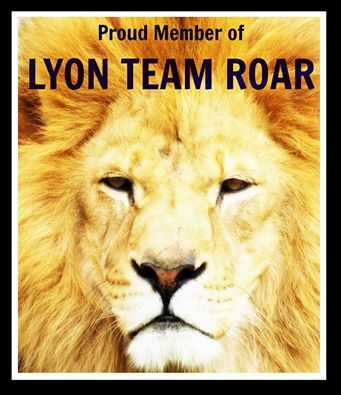 He is also a great young man, and we are blessed to have him as a part of our family. I have a son who left in August to serve a mission for the Church of Jesus Christ of Latter-Day Saints. He has grown and I am amazed when he shares his testimony of the Savior, Jesus Christ. My youngest son is a Sophomore in High School. He has a great group of friends that I enjoy. They are a positive influence on him and I give thanks for that. Lastly, I have been married for twenty-six years to my best friend! We have our ups and our downs, but we love and respect each other. Marriage is work and I love that I am married to a man who navigates life with me. I haven't done a lot of reading lately. It has been busy and I am trying to spend more time with my family rather than have my nose constantly in a book. I am behind, but committed to continue and try to catch up. Reading is an essential activity for me. It is a great stress relief (unless you are behind on reviews). Book Description: Governess Juliana Ashbourne has dreams reaching far beyond the confines of her current position, hoping to someday establish her own school for girls. When she inherits a fortune from her late grandfather, she is shocked to learn that “someday” may soon be within reach. However, there is one condition: she must spend a month at the estate of Havenfield—with the very family who disowned her mother. Intent on securing the money she needs to start her school, Juliana accepts the invitation, vowing to guard her heart against those who shunned her all her life. But Havenfield is far from what she expects. She discovers a grandmother seeking forgiveness, a cold and disapproving aunt, and a painfully shy cousin. And then there is Mr. William Rowley. Though the heir to the estate is a merciless tease, Juliana finds in him a friend and confidant—and perhaps something more. As she struggles to make sense of her new place in the world, her stubborn independence clashes with a yearning to belong and the even more confusing desires of her heart. 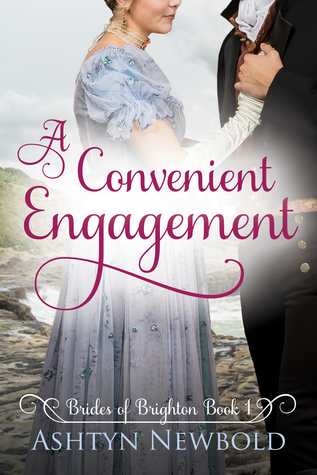 My thoughts: This is a sweet Regency Romance. It is also the debut novel of Joanna Barker, which made this book more impressive! The book was well written and easy to read. I loved the characters, setting, and the plot. The book is told from Julianna Ashbourne's point of view. As the book begins she is a governess with a dream of having her own school and teaching girls subjects that were reserved for boys. She loves children and wants to help them improve. Her work position is precarious and an opportunity comes her way where she can inherit a large sum of money if she spends a month with her estranged grandmother. The book takes some interesting turns when she discovers the heir to the estate her grandmother loves on is a man she ran into on the street. Let's just say that she didn't form a favorable impression. I enjoyed William Rowley's character. He seems to have many edges, so I wish that I could have gotten to know him better and what he was thinking. The story has a vindictive aunt, a jealous employer, a loving grandmother, a sweet cousin, and the woman who will do anything to get the man she wants. There are many things to love about this book. About the Author: Joanna Barker was born and raised in northern California. She discovered her love for historical fiction after visiting England as an eleven-year-old, and subsequently read every Jane Austen book she could get her hands on. 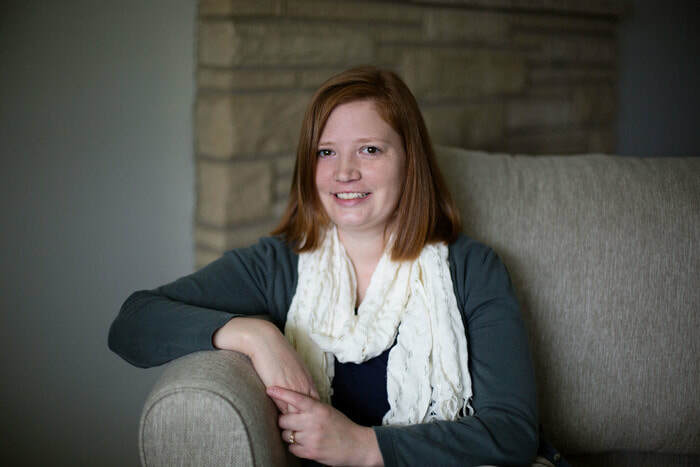 After graduating Brigham Young University with a degree in English, she worked as an acquisitions editor before devoting herself full-time to writing. She enjoys music, chocolate, and reading everything from romance to science fiction. She lives in Utah and is just a little crazy about her husband and two wild-but-loveable boys. 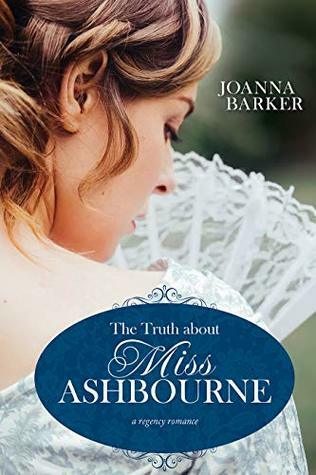 Spotlighting "The Truth About Miss Ashbourne" by Joanna Barker ~ Enter the Giveaway today! Look for my review next week! I am excited to dig into this book, after my son's wedding this weekend. The Spinster and I by Rebecca Connolly ~ Blog Tour with a giveaway! My thoughts: I love the dialogue in this book! Rebecca Connolly is able to convey the emotions and thoughts of her characters eloquently. I felt empathy and compassion for them as they struggled through Regency society. Pru is a wallflower. She is happy to remain in the shadows. Her mother is overbearing, and frankly, not a nice woman. To me, it the way that Pru acts in society is indicative of social anxiety. Her mother shows no compassion, only ridicule as her daughter struggles. The mother is only thinking of her own societal gain and reputation. Camden is a hero, even if he doesn't realize it. He befriends Pru, knowing that she the help he can give in making it through social engagements. He knows how to calm her. I love it when friends realize that there is more to their relationship. I married my best friend. It brings back fond memories as to when I thought of my husband as more than just my friend. Pru also has an amazing set of friends. We all need people in our lives who help and uplift. This is a book that I wouldn't mind re-reading. In fact, last night I ordered a couple of more of her books for my kindle! I am looking forward to spending more time with the imagination and writing of Rebecca Connolly. 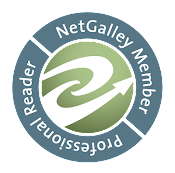 1. Who are some of your favorite Regency authors? Do these authors inspire your own writing? 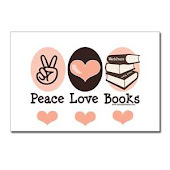 I love Jen Geigle Johnson, Sarah Eden, Jennifer Moore, Elizabeth Johns… And I am constantly meeting more lovely writers who love the same ears I do! I am inspired by so many authors, but in my time period and outside of it! The best inspiration of all, though, has to be Jane Austen. 2. If you could go to tea with one of your characters, who would you go with and why? Oh, I think I would want to go to tea with Charlotte Wright. She doesn’t hold anything back, and I bet she has some fantastic stories! 3. What inspired the idea for The Spinster and I? I had created a group of spinsters that had gotten to that point in their lives for different reasons. This particular story starred a girl who was painfully shy and wanted nothing more than to remain unnoticed by the world, and I wanted someone to notice her in a way that would actually work for her. He just so happens to be the most unlikely candidate, which makes it so deliciously fun! 4. What did you as an author take away from writing The Spinster and I? I think the biggest thing I took away was that we need to look beneath the surface in everyone. There is so much more to a person than what we can see. My current WIP is part of the Spinster Chronicles series, and I can tell you that it is a VERY interesting pairing, and it is set at Christmas! 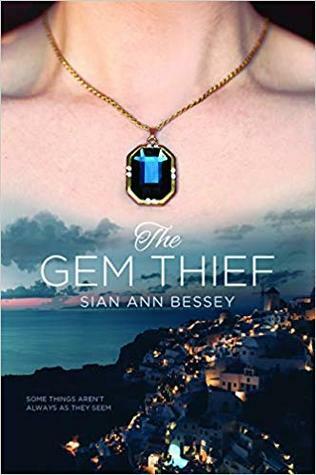 The Gem Thief by Sian Ann Bessey ~ Blog Tour with a giveaway! Book Description: Gracie Miller is a small-town girl who has landed her dream job in New York City. As jewelry designer for one of the most prestigious jewelers in the world, she completed a particularly stunning piece, a custom setting for a large pink diamond. But when her billionaire client Mrs. Katsaros comes to repair a minor issue with the setting, Gracie is horrified to realize it is not the ring she created. Someone has forged her design, and the priceless diamond is gone. My thoughts: What is not to love about this book? You have quirky/lovable characters, mystery, humor, travel, and romance in one book! The book starts off as Gracie Miller is on her way to work. A rude skateboarder barrel down the street forcing her to move quickly, spilling her hot chocolate and getting sprayed by muddy water as the cars drive by. That is the first page of the book. For me, when something like that happens, I know that it is the book for me. Gracie is a jewelry designer who finds herself involved with investigating the jewelry theft of one of her customers. She is professional and trustworthy. She is paired up with Quinn, the wealthy widow's nephew, as they try to track down the thief. It begins in New York, and goes to Greece by a cruise. The dialogue is well done. I loved learning about the characters and journeying with them. I give this book a high recommendation. About the Author: (Taken from Goodreads) Sian Ann Bessey was born in Cambridge, England, but grew up on the island of Anglesey off the coast of North Wales. She left her homeland to attend Brigham Young University in Utah, where she earned a bachelor's degree in communications with a minor in English. She began her writing career as a student, publishing several magazine articles while still in college. 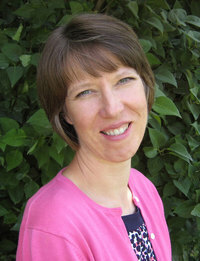 Since then she has published historical romance and romantic suspense novels, along with a variety of children's books. She is a USA Today bestselling author and a Whitney Award finalist.